On May 26, 2017, the ANS welcomed the Director and CEO of the Salzburg Museum, Consul General of the Austrian Consulate, and an attorney representing the Salzburg Museum, to New York for the repatriation of a group of 94 coins stolen from the Salzburger Museum Carolino-Augusteum in 1945. This group of coins came to the ANS in 1995 when our late Benefactor, Mr. Chester L. Krause, learned that they were rumored to have come from a museum in Austria. He donated the funds to purchase them, so as to ensure that they could be returned to any rightful owner. These coins represent an important body of material for the study of the history of Salzburg and Austria and the ANS is pleased to have assisted with their return home. Read more. 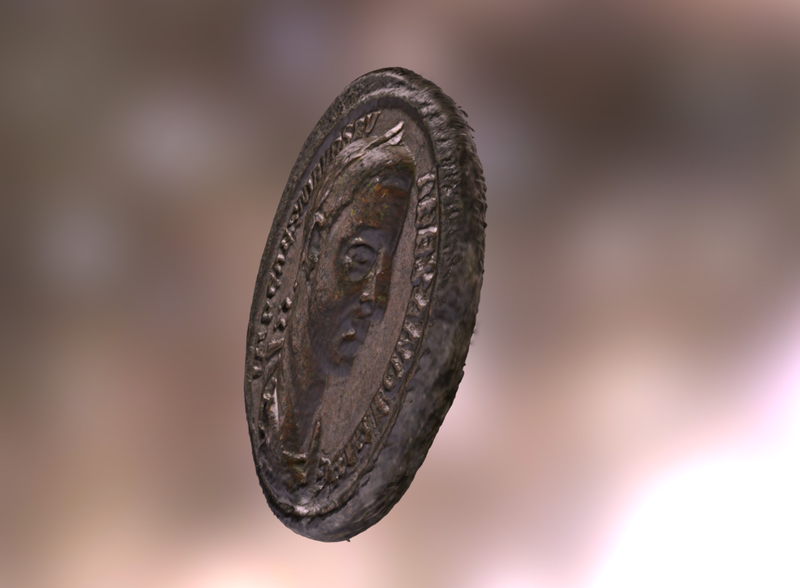 Two 3D models of Roman imperial coins from Heinrich-Heine-Universität Düsseldorf, a Nomisma partner through the NUMiD network of German university coin cabinets, have been integrated into Online Coins of the Roman Empire (OCRE). The first is an as of Severus Alexander (RIC IV 455), and the second a silver coin of Constantine (RIC VII Constantinople 126). 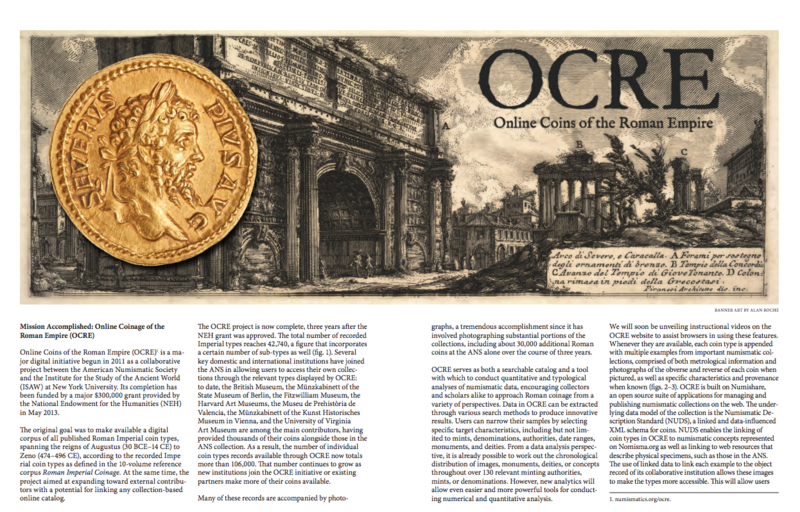 This illustrates the greater potential of incorporating digital media beyond photography into numismatic projects. From now until July 31st, purchase recent ANS titles for 50% off the retail price! Order online via the links above, or by phone at 212.571.4470 x117. Make a 100% tax-deductible gift to help the ANS continue advancing and promoting the study, research, and appreciation of numismatics. The Society has made great progress so far this year, but we need your help to keep up the pace and continue our important work. Read about our accomplishment and ways you can help in a letter from the Executive Director, Dr. Ute Wartenberg. And thank you to all of our members and friends who have already donated to this appeal. We are deeply grateful. Please RSVP for this lecture, which will take place on Saturday, July 15, 2017, at the American Numismatic Society. Lunch begins at 1:00 pm, followed by the lecture at 2:00 pm, and a Q&A at 3:00 pm. The ANS will remain open from 12:00 noon until 4:00 pm. Money Talks: Numismatic Conversations is supported in part by an ANS endowment fund generously given in memory of Dr. Vladimir Clain-Stefanelli and Mrs. Elvira Clain-Stefanelli. If you would like to purchase one or more of these volumes, please contact Emma Pratte at epratte@numismatics.org or 212.571.4470 x117. First come, first served. In the morning of May 27, a group of 30 third graders from Dwight School visited the ANS. The young visitors were accompanied by four teachers and were welcomed by ANS Curators Peter van Alfen, Gilles Bransbourg and Lucia Carbone. The students, divided in two groups: One learned about the nature of money and the other, the use of money as unit of account and as medium of exchange with Dr. Van Alfen. They were delighted to be able to handle African cowrie shells, spade money from China, Roman archaic bronze coins, and Egyptian weights. Dr. Bransbourg introduced them to difficult concepts such as gold standard, the relationship between paper money, their potentially unlimited supply, and inflation, while he passed around eighteenth-century French assignats, 1,000,000,000 mark banknotes from post-WW1 Germany, and Zimbabwean 1,000,000,000,000 dollar ones. Finally, Dr. Carbone challenged the students’ knowledge with an ad hoc quiz, focusing on the topics discussed earlier in the morning. The results were excellent, thanks to the enthusiasm of the students and their careful preparation by the teachers. 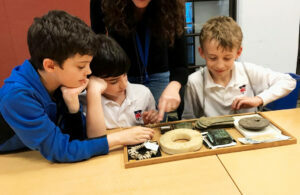 The ANS Curatorial Team is looking forward to future visits from Dwight School and other schools. It is also planning a collaboration with Aequora, an outreach program of the Paideia Institute that aims at teaching literacy through Latin and Classical culture to elementary and middle schools. ANS Magazine 2017 Spring Edition is Out! The newest issue of the magazine is in the mail! If you have yet to receive your copy, or you are not a member, you can preview the article “Wishes Granted: the ANS and the NEH” right now for free! The article, authored by Peter van Alfen, Gilles Bransbourg, Ethan Gruber, and Andrew Reinhard, details all of the recent NEH-funded work being done at the ANS with a nod to the Society’s past regarding Open Access initiatives and data-sharing. 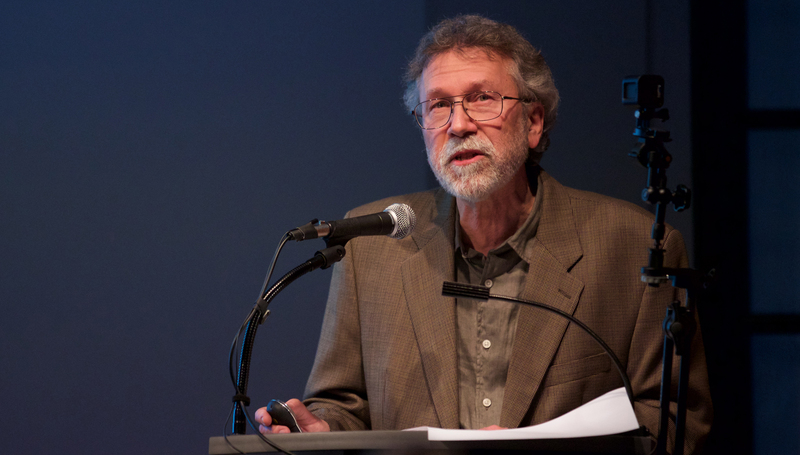 The 2017 Harry W. Fowler Memorial Lecture, “The Deccan as an Integrated Currency Zone: New Approaches to the Study of Peninsular Indian Coin Hoards (1347–1687),” presented by Prof. Phillip Wagoner, Professor of Art History and Archaeology at Wesleyan University, is now available to view on the ANS YouTube page. Have you renewed your membership this year? If you aren’t sure, please contact Emma Pratte, the Society’s new Membership Assistant, and she can assist you. You can renew today for this year and 2018, at this year’s prices. You will receive two years of all the member benefits at the 2017 rate, including the ANS Magazine, free access to our library, consultations with our curators, discounts on publications, a reduced rate to our Money Talks lecture series, and invitations to special events. Renew online or contact the Membership Department at (212) 571-4470 ext. 117. 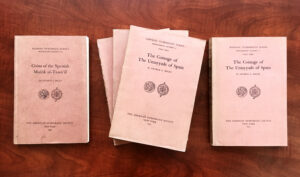 ANS members and staff are attending “Coinage in Imperial Space. Continuity or Change from the Acheamenid to Hellenistic Kingdoms,” a conference organized by the Institute of Archaeology, Jagiellonian University, the National Museum in Cracow and the University of Oxford. The event will take place from June 28 to July 2, 2017 in Cracow, Poland. Dr. Peter van Alfen, ANS Margaret Thompson Curator, and Dr. Ute Wartenberg, ANS Executive Director, will present papers at this event. You can find more information about the event and things to do in Cracow during your stay at www.coinageinimperialspace.org. Ethan Gruber, our Director of Data Science, will be attending The Fourth International Linked Open Data in Libraries, Archives and Museums (LODLAM) summit which will be held in Venice, Italy, at the Fondazione Giorgio Cini June 28-29, 2017. Linked data is a combination of techniques, tools and web standards that enable the World Wide Web to evolve from a web of documents to a web of data. When applied to libraries, archives, and museums, linked data transforms the way we discover, analyze, and visualize cultural, scientific and government information. The LODLAM Summit brings together thought leaders from around the world working in digital cultural heritage, eScience, and the digital humanities to debate, network and share their ideas. Ethan attended the inaugural summit in San Francisco in 2011, which was a catalyst for many of the Society's digital projects. ANS Margaret Thompson Curator, Dr. Peter van Alfen, together with Professor Dr. Oğuz Tekin of Koç University, will be presenting a two-week long intensive summer program entitled “Monetary History and Numismatic Summer School”. The Course offers a broad chronological survey of the monetary history and numismatics from ancient to Byzantine periods (c. 650 BC– AD 1453). The course is for newcomers to numismatics who would like an introduction to Greek, Roman, and Byzantine numismatics and will aim to apply numismatics to their studies in the fields of archaeology, history, and art history. As the collaboration between Koç University and the Suna & İnan Kıraç Research Center for Mediterranean Civilizations (AKMED), the course will take place at AKMED, in Antalya, from July 3 to 14, 2017. Combining lectures with visits to museums and archaeological sites in the area, the course also provides a rare opportunity to access some of the most important numismatic collections in Turkey. All instruction will be in English. Dr. Ute Wartenberg, ANS Executive Director, presented “The English Tradition of Archaeological Hoard Recording in 17th century England” during a conference on Numismatic Antiquarianism through Correspondences (16th-18th centuries). The event, organized by François de Callataÿ, occurred at the Academia Belgica in Rome from May 31 - June 1, 2017. For more information visit http://incnews.org/2017/04/01/finaconferencemay2017/. The June Money Talks: Numismatic Conversations featured Ray Williams, ANS Fellow, Vice President of the New Jersey Numismatic Society, and past President of the Colonial Coin Collectors Club (C4). He presented “The State Coinages of the Confederation Era, 1785–1788,” which discussed coins issued by the authority of VT, MA, CT and NJ. Guests were able to view and handle relevant coins from both the ANS’s collection and Mr. Williams’ personal collection This lecture took place on Saturday, June 10, 2017, at the American Numismatic Society. Money Talks: Numismatic Conversations is supported in part by an ANS endowment fund generously given in honor of Dr. Vladimir Clain-Stefanelli and Mrs. Elvira Clain-Stefanelli. Dr. Gilles Bransbourg, ANS Associate Curator, discussed “Church and Taxation During Late Antiquity: Serving God or Man,” during a two day presentation on Taxation and Religion from Antiquity to Present at Sorbonne University in Paris, France, held from June 15-16, 2017. Dr. Elena Stolyarik, ANS Collections Manager, presented “Coin Finds and Monetary Interaction between the Scythian Kingdom of the Dobrudja and the Greek Cities of the West Pontic Region,” during the Money on the Margins: Coinage, Forms and Strategies of Intercultural Commerce on the Black Sea Shore in the Classical and Hellenistic Eras international conference. 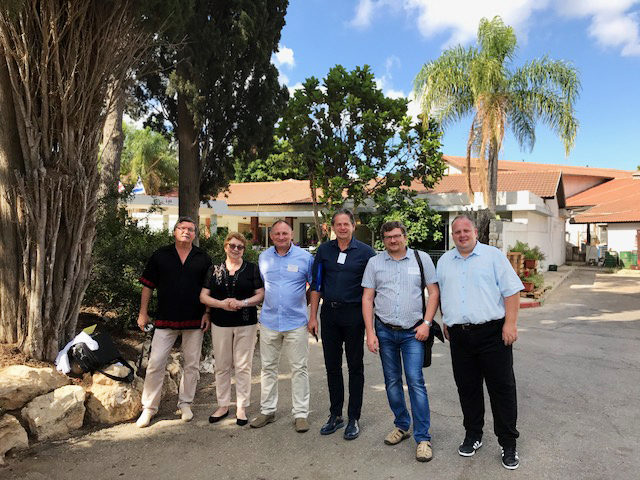 The conference, organized by the Israel Science Foundation and the Berlin-Brandenburg Academy of Sciences and Humanities, was held in Zichron Yaakov, Israel from June 18-22, 2017. Support the ANS by advertising in the award-winning quarterly ANS Magazine. The ad deadline for issue no. 3 of 2017 is July 13, 2017. For more information about advertising rates and specs, visit the advertising page or contact Joanne Isaac, Museum Administrator, at magazine@numismatics.org or 212-571-4470 ext. 112. If you or your company would like to sponsor future issues of the ANS E-news, please contact Joanne Isaac, Museum Administrator, at 212-571-4470 ext. 112 or jisaac@numismatics.org. See what’s new at the Library!